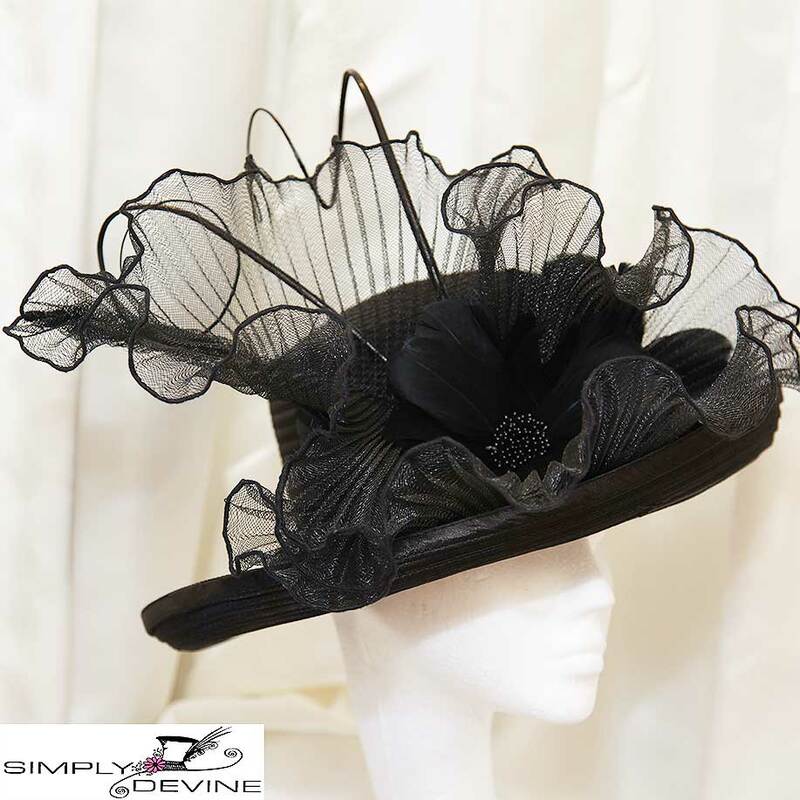 Stunning black satin hat with a large brim and lusciously trimmed with pleated crin, quills, a stunning feather flower and tiny seed pearls. 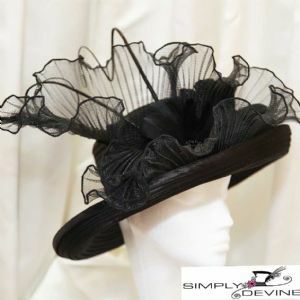 This would be stunning for a mother of the bride or Royal Ascot. 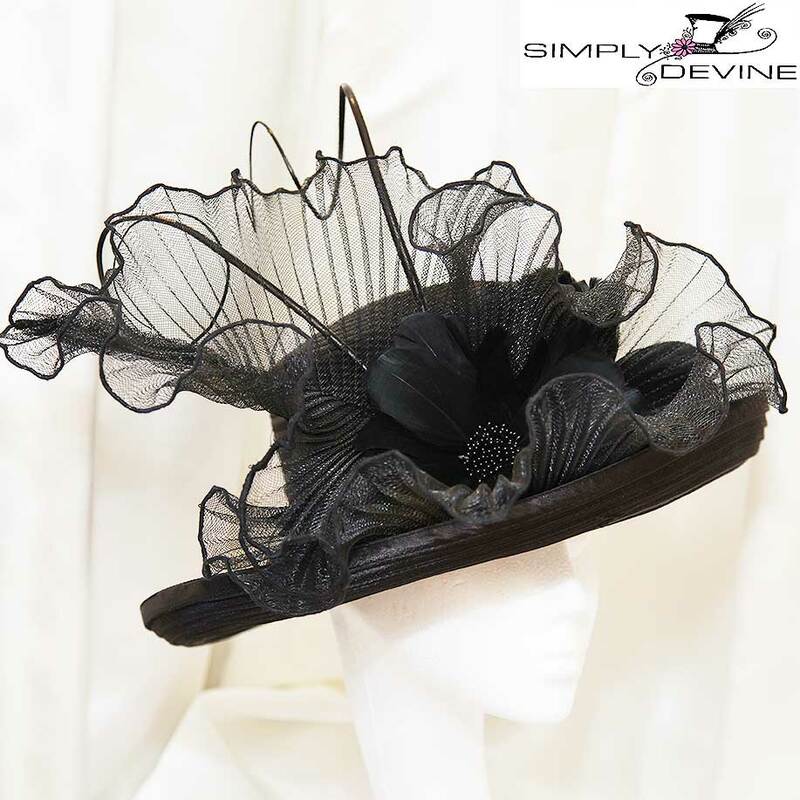 This is a stand-out hat and will be sure to get you noticed! Simply Devine is renowned for its stunning selection of special occasion hats, hatinators and fasincators - and we post out to customers all over the world.